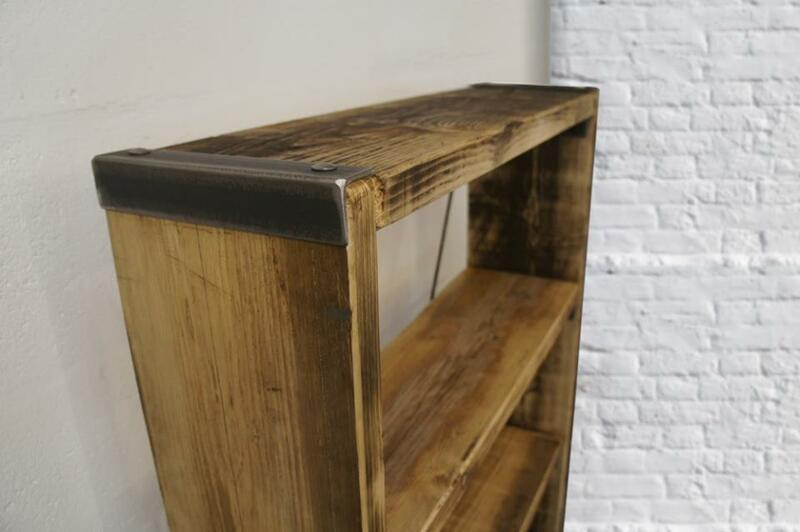 Rustic shelves made from reclaimed wood with metal edges. As an alternative to our other models, these have less metal, with the uprights being also made from wood. 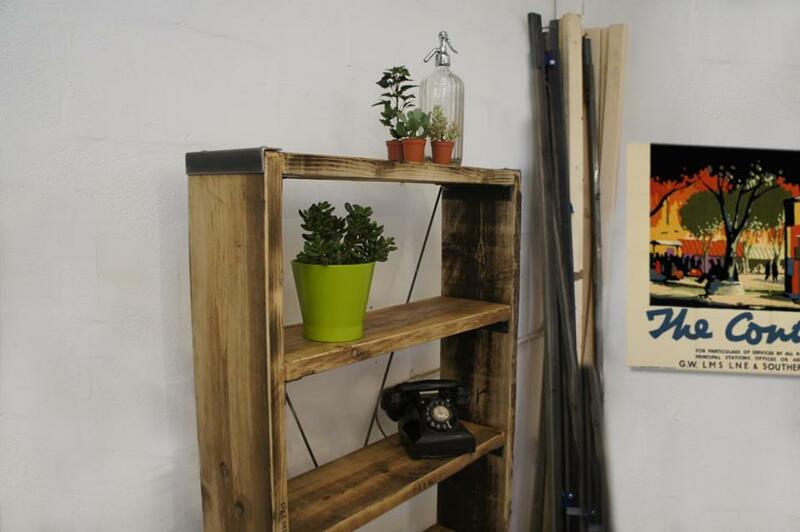 Our rustic shelves have the reclaimed wooden sections held taught with welded steel cross braces at the back. 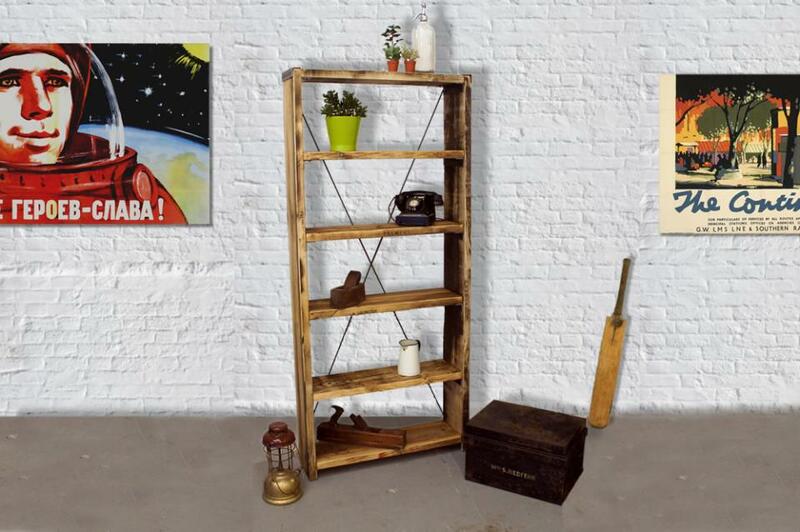 Please note - our Rustic Shelves are available in other sizes - please contact us.